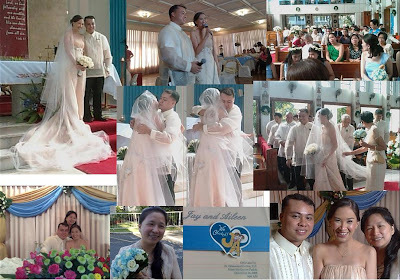 More than 9 months ago, Jay and Aileen sent me an e-mail asking if I can be their ninang #1 for their upcoming wedding. Knowing how the DigitalFilipino Club played a role in their relationship, it was an honor for me to accept. Earlier today, I witnessed their very beautiful wedding and unable to refuse my blogger instinct of taking pictures and document the event. To Jay and Aileen, I love you. Wish you all the happiness and love forever. I will always be here for the two of you.